Will Your Dental Marketing Give You 10 New Patient Contacts Next Month? “We have had at least 10 new contacts through our Internet Dental Alliance cosmetic dental website just in the past month alone. The contacts resulted in a huge sedation and cosmetic case with a full set of veneers for $15K and another proposed treatment plan for sedation at $5K – and four others have appointments!” writes Dr. Jeffrey Lowe of Hays, Kansas. Never Doubt the Power of Marketing! “My best client from the Internet Dental Alliance dental web site yielded an $11,000 profit for dentures,” writes Dr. Stephen McAnaney of Denison, Texas. 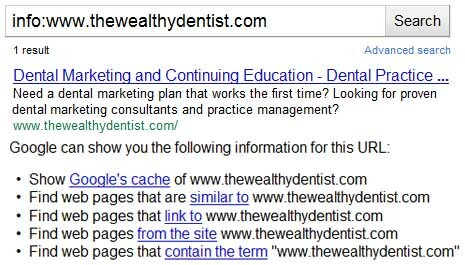 How Is Your Internet Dental Marketing Serving You? “Three to four new patients a month, best month 8 new patients, best patient $25,000 profit for cosmetic dentistry – IDA accounts for a 10% increase in business per month, or $180,000 per year,” writes Dr. Terrence Major of Chattanooga, Tennessee. 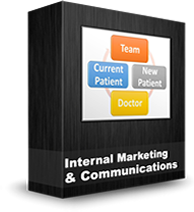 “My Internet Dental Alliance dental marketing program is extremely effective and cost efficient. We are currently averaging approximately 20 new patients per month via the website. The only other form of marketing in my practice that is more effective is my direct referral program for my existing patient base. Additionally, the 1stDDS.com program is attracting 3-5 additional patients per month. I find that patients who view my website will drive 50-250 miles to be treated by me and my staff. This does not include the large patient draw we have throughout the entire Kansas City metropolitan area. Production for one sedation case generated $32,000 for the practice,” writes Dr. Mark Mancin of Gladstone, Missouri. “In reviewing my production for last year, I determined that my web marketing campaign with the Internet Dental Alliance brought in 226 referrals! I have [recently] had 22 referrals and $12,790 in production and have received a large cosmetic case that already completed cosmetic imaging – and the patient has a treatment plan for $16,000 in cosmetic reconstruction,” writes Dr. Morgan Scheiber of Plymouth, Massachusetts. “Initially 8 to 10 patients a month, now up to 41 new patients a month – including cosmetic, sedation, and TMJ. IDA marketing systems is responsible for a 114% increase in business,” writes Dr. Janice Ormsby of Ithaca, New York. Learn more about IDA’s dental website development. Online dental marketing can attract new patients to a dentist’s office. Internet patients sometimes have a different profile from other new patients. “Referral patients have more trust from the beginning. Online patients are typically younger and not as financially able to afford treatment,” said a general dentist. We conducted a survey asking dentists about dental website patients: Are patients who find a dentist online different from patients who come in via more traditional methods? One third of dentists responding to this survey said they don’t see a difference. However…half of those doctors feel that online dental patients are more likely to follow through with treatments, while the other half think online patients are less likely to follow through with treatment. One in five dentists said that word-of-mouth referrals from current patients are the best type of dental patients to follow through with treatment. Overall, the results suggest that patients are pretty similar, regardless of the dental marketing methods that were used to acquire them. “Online patients are generally young, looking for the best price and not dentally educated. Anyone who chooses a dentist based upon online reviews sees dentistry no differently than a gas station or a supermarket,” said a Massachusetts dentist. “Online patients have done their research and know a lot about our office before becoming patients. They are certainly more likely to follow through with recommended treatment,” said an Ohio prosthodontist. “For me, a cold online lead is not unlike a patient who drove by and saw my sign. They are a tougher sell then a true internal referral. A Facebook referral can be close to an internal referral when referred by an existing patient,” said a Georgia dentist. “Dental website patients ask more questions, are younger and more tech savvy, tend to believe what they read online, are less critical in their thinking, and are so wed to their smart phones that they’re not big conversationalists,” said a California dentist. Online dental marketing doesn’t have to replace traditional marketing avenues like direct mail and internal marketing. Dental websites are an additional way to capture more new patient leads.